Once you catch a commercial boat charter from Paihia or Russell, the first of many picturesque islands you will arrive at is Roberton Island, a rugged Pacific gem off our eastern shores. 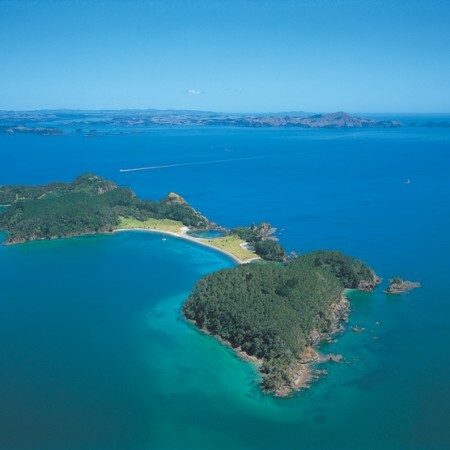 Also known as Motuarohia Island, as it was called before being purchased from Ngāpuhi chiefs in 1839 by a whaling ship captain named John Roberton, this tranquil little island is steeped in fascinating Māori and colonial history. The earliest settlement history of the island can be dated back to the prehistoric beginnings of Polynesian settlement in Aotearoa. It is believed that the descendants of the first Māori settlers continued to live and flourish in the island’s habitat over the following centuries. This is evidenced in the large scattering of ancient Māori archaeological sites – such as pa, terraces, pits and gardening lines – that can be found throughout the central lagoon area. Motuarohia was first discovered by Captain Cook in 1769, who anchored the Endeavour just off its shores in what is now known as Cook’s Bay. At the time, the island was inhabited by up to 300 Māori, who were initially hostile towards the explorer. Later on, Cook was offered the hospitality of the natives and peace was restored. Only a year after he bought Motuarohia Island, John Roberton was tragically killed in a boating disaster, leaving behind a wife and two children. His wife continued to farm the island’s land in his wake, along with a man named Robert Bull. However, the remaining members of the Roberton family were living on borrowed time. 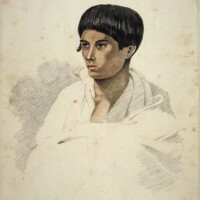 In November 1841, all three were murdered by Maketū Wharetōtara, the 17-year-old son of the Ngāpuhi chief, Ruhe of Waimate. Also killed were Robert Bull and Isabella Brind – the granddaughter of a Ngāpuhi leader – who shared a home with the Roberton family at the time. The following year, Maketū became the first person to be legally hanged in New Zealand history, after being tried and convicted by a British court. Roberton Island has changed hands a number of times between private owners since its tragic beginnings unfolded. Today, 44 of the total 63 hectares on the island are privately owned, with the remaining 19 hectares now designated public conservation land, Motuarohia Island Reserve. These days, Roberton Island is a popular attraction for tourists in the North, and it really doesn’t take long to work out why. It is best known for its two stunningly beautiful lagoons at Twin Lagoons Bay, which is said to be the most photographed natural beauty spot in the entire Bay of Islands. For those of you who like to get more than just your toes wet, there is the most wonderful underwater snorkel trail set in the calm waters of the natural lagoon. The island, which can only be accessed by boat, helicopter or a very skilled kayaker, is completely unspoilt. There are no public facilities, so when you turn up on its shores you can expect to indulge in the most relaxing of escapes from the hustle and bustle of 21st Century living. There are a number of brisk walks you can enjoy on your day out on Roberton Island, the most notable of which being a 15 minute uphill walk from the western end of Twin Lagoons Bay to a lookout on the centre of the island. There are no adjectives that can do justice to the panoramic view when standing at the top, so make sure you don’t miss out. Roberton Island really is a tale of two halves. Facing the North you are confronted by dramatic, rugged cliffs, jagged rocks and crashing waves. Facing the South you are standing before a tranquil, beach-lovers’ oasis. Perhaps what is most breathtaking of all is the contrast between the two, but why don’t you visit and be the judge of that yourself?